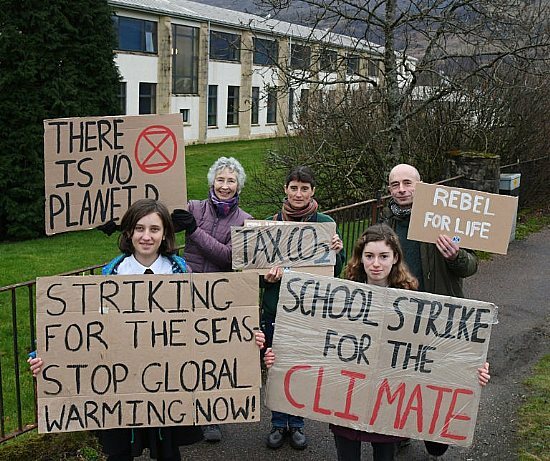 Following the example of Greta Thunberg in Sweden, school Climate Change strikes for an hour every Friday morning, are spreading worldwide. 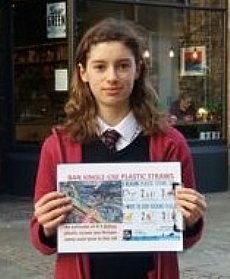 "Holly Gillibrand, 13, a pupil at Lochaber High School in Fort William, is joining a growing global movement in which children stage Friday strikes. It began last year when Greta Thunberg, 15, from Stockholm, stopped attending school in the run-up to a Swedish general election, demanding the government reduce carbon emissions. "By last month, more than 20,000 students had held strikes in at least 270 cities around the world." 12/03/2019 Scotland a Good Food Nation?